Estetica, confort e funzionalità caratterizzano gli spazi flessibili della nuova sede Savills a Milano. dalle due precedenti sedi nei nuovi spazi di Via Manzoni 37. Savills ha occupato il terzo piano dello storico palazzo del centro di Milano e si è affidata a DEGW per lo sviluppo di tutto l’intervento di ristrutturazione necessario a ospitare 77 persone della società: dall’analisi della domanda organizzativa allo space planning, dal concept design al progetto architettonico, fino all’implementazione dei nuovi impianti meccanici ed elettrici. 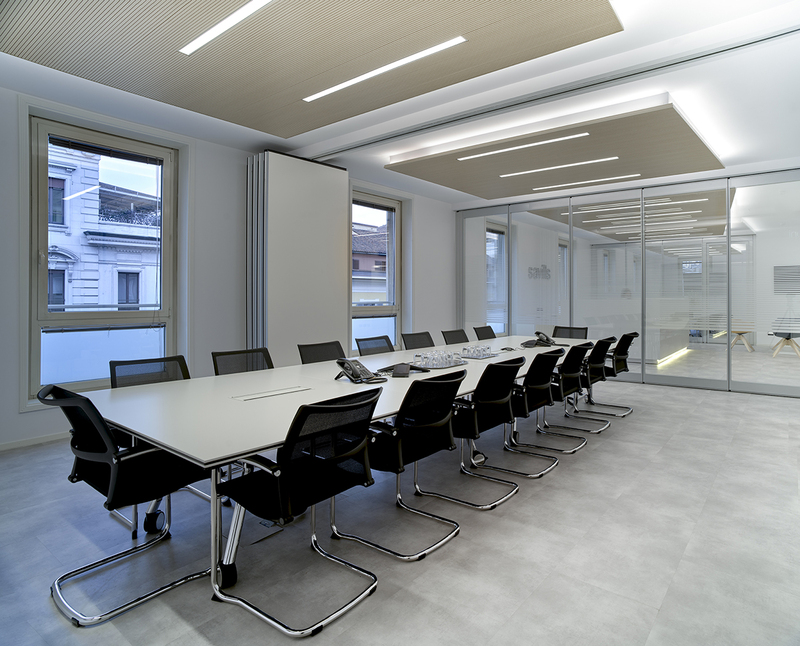 Il concept sviluppato da DEGW si è pienamente sintonizzato con la necessità del cliente e con le sue linee guida corporate, interpretandone i concetti e distillandoli in spazio concreto: sicurezza e responsabilità, relazioni di fiducia a lungo termine, apertura alle nuove sfide poste dal mercato, sviluppo del potenziale delle persone, ovvero i valori con cui Savills connota la propria mission, trovano nei nuovi uffici di Via Manzoni 37 un ambiente chiaro e luminoso, trasparente e tecnologico, ma anche caldo e accogliente. Legno, vetro, tecnologia e luce sono le parole chiave del progetto. Il sistema formato dalla reception e dalle meeting maggiori si può riconfigurare agilmente grazie alle pareti vetrate impacchettabili che ne articolano gli spazi. 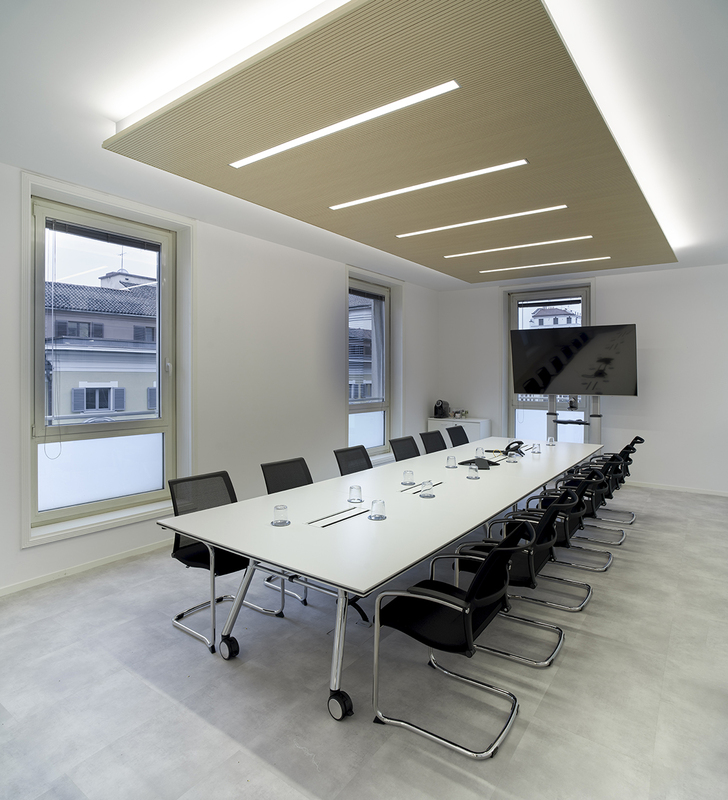 Asthetics, comfort and functionality are the key words for the flexible spaces of the new Savills HQ in Milan. 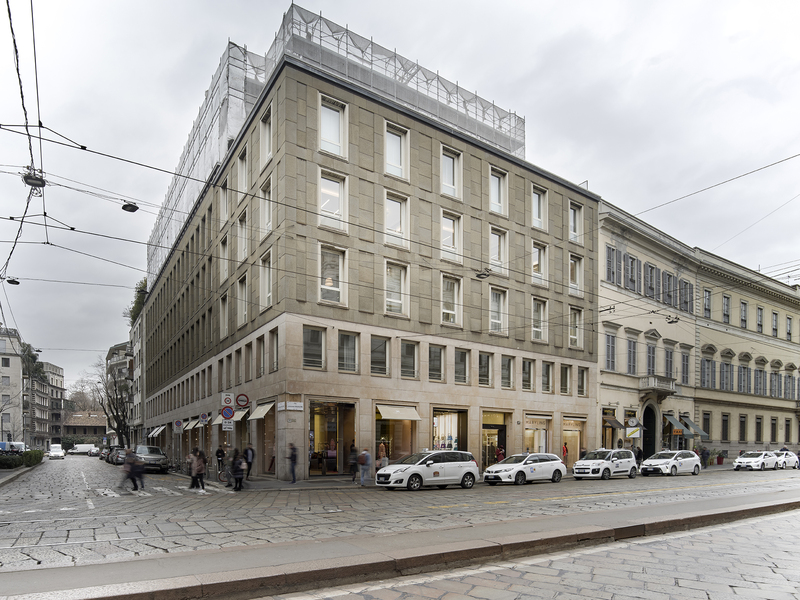 One single completely redeveloped home for the new Savills headquarters in Milan.This international real-estate consultancy company has brought together all its different business units and moved from its two old offices in Viale Vittorio Veneto 20 and Via San Paolo 7 to its new home in via Manzoni 37. Savills has taken over the first floor of a famous old building in downtown Milan and turned to DEGW to carry out all the renovation work required to provide a new home for the 77 staff: an analysis of organisational requirements, space planning, concept design, architectural design and installation of all the new mechanical-electrical systems. DEGW developed a concept fully in tune with the client’s needs and its corporate guidelines, interpreting key concepts and setting them out in a concrete space: security and responsibility, long-term loyalty, an openness to the latest challenges being posed by the market, and bringing out people’s full potential. 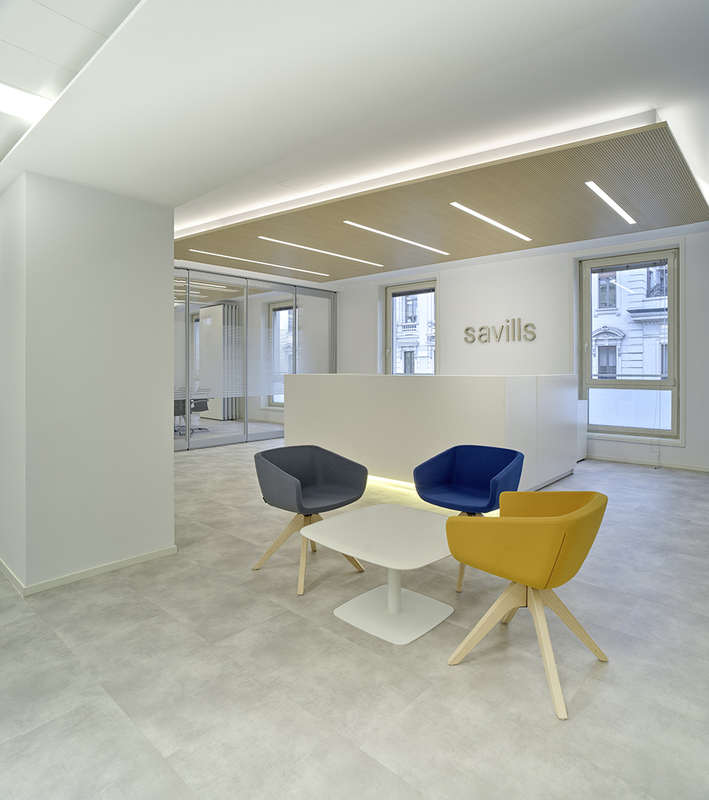 All the distinctive values of Savills’ corporate mission are embodied in its new offices in via Manzoni 37 in a clear, brightly-lit, transparent and high-tech space that is also warm and welcoming. 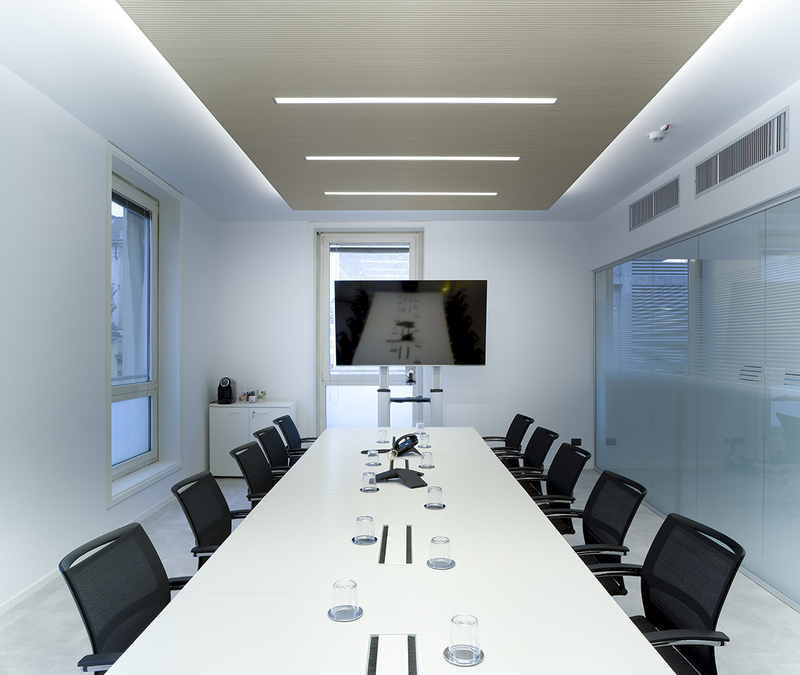 Wood, glass, technology and light are the project’s buzzwords. Savills’ new headquarters have a C-shaped layout covering approximately 745 square meters of gross space with two separate entrances. The project distinguishes between different functions, with the main entrance, serving the reception/welcome area and customer area, while a second entrance provides direct and totally separate access to the business area for company staff. 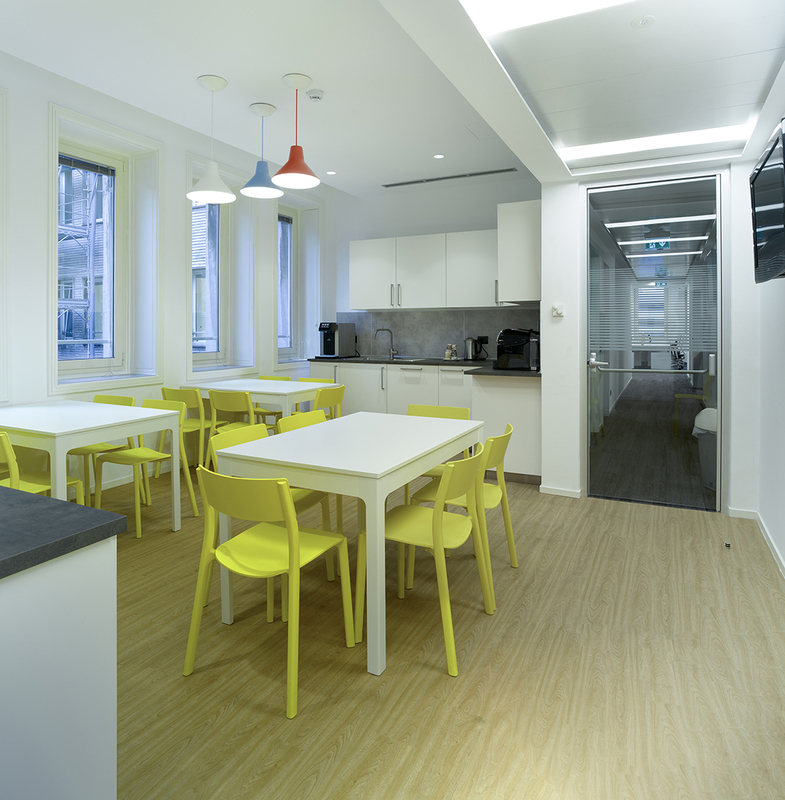 This latter area has an entirely open layout incorporating 72 workstations (there are only 5 in the enclosed office) served by ancillary areas including small meeting rooms for 2-4 people, phonebooths, an archive, photocopying area, IT room and spacious break area with its own kitchenette. 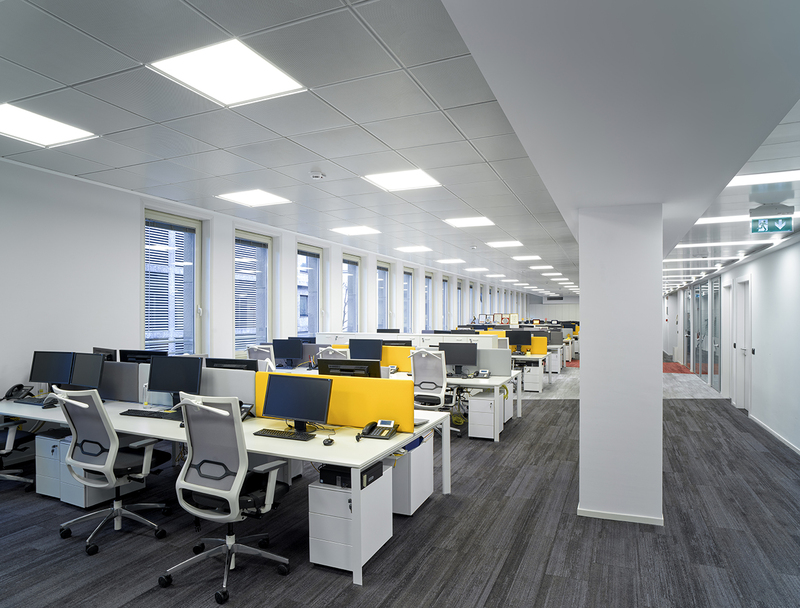 The entire system formed out of the reception and main meeting rooms can easily be reconfigured thanks to stackable glass walls, which can set out the spaces flexibly.